Not everyone knows that Castello Sforzesco houses a series of themed museums. Among these, one of the most notable is its recently renovated Museum of Decorative Arts. The volume and diversity of the decorative art collection at Castello Sforzesco is unique in Italy and includes work that is considered some of the finest of its type in Europe. Here, design aficionados can admire more than 1,300 ‘ante litteram’ design objects in ivory, metal, glass, ceramics and textiles from the early Middle Ages to the present, highlighting the innovative techniques used to develop the everyday items used by the upper classes. Particularly noteworthy is the museum’s new layout, which not only draws attention to the artistic quality of the objects, but also to what they were they were used for, thus giving the visitor an insightful glimpse into the everyday lives of the people who used them. Items are classified in such a way that guests are taken on a journey to into the world of the culture and customs of days gone by. 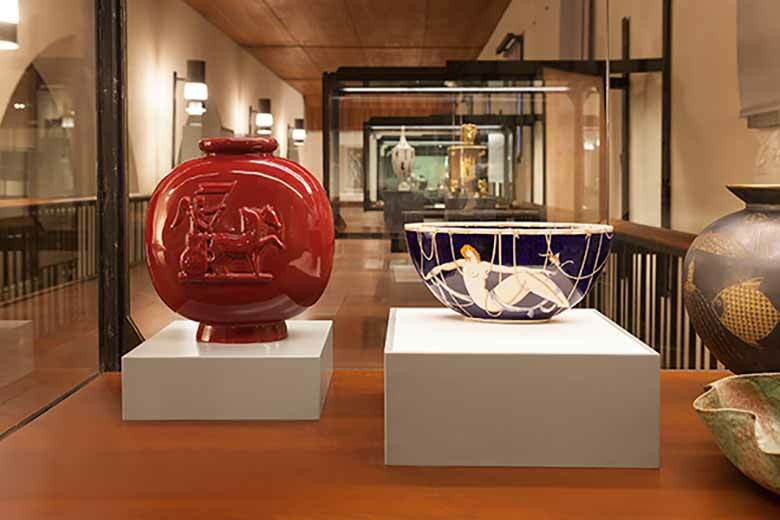 The exhibition space has rooms dedicated to themes such as ceramics, household objects, majolica and porcelain pieces, the Mediterranean (works created in the Mediterranean basin between the 4th and 16th centuries), the twentieth century, the chamber of wonders (non-functional objects designed to replicate monumental sculptures) and the Sala Castellana, displaying the Bellini Pezzoli glass collection featuring works from all over the world. Open Mon-Sun from 9am to 5.30pm. If you’re visiting the Castello Sforzesco, make sure to make time to admire Michelangelo’s famous Pietà Rondanini. Initiated in 1553, this poignant masterpiece was left incomplete due to the maestro’s untimely death. This haunting work can now be viewed in a dedicated space of the museum. Inaugurated in 2015, this space was designed by renowned architect Michele de Lucchi.